April 25 - May 4, 2014 is NDW, a week to celebrate dance and promote fun fitness! So I have compiled a round up of all my dance related projects. 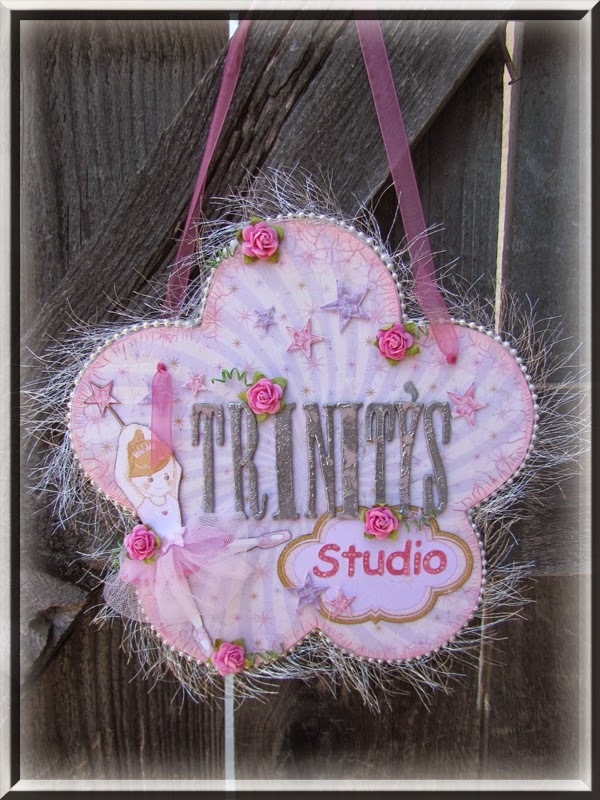 Trinity was a hula dancing girl before she started ballet "Hula Kids"
This is the name plaque for my daughter's bedroom door "Trinity's Studio"
My daughter's love for ballet all started with Angelina Ballerina. Of course she had to have a Angelina Birthday Party, these are the invitations. 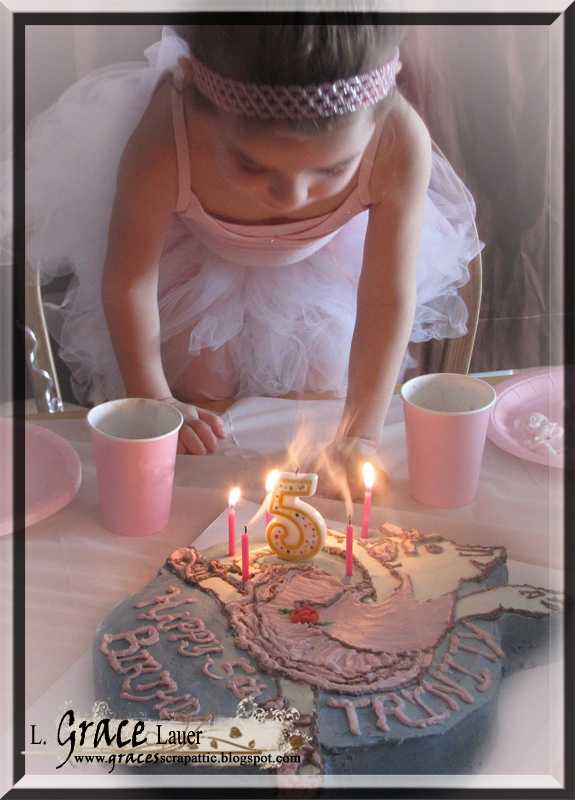 At witch we surprised her with her very first ballet lessons... that was the beginning of her love for ballet. 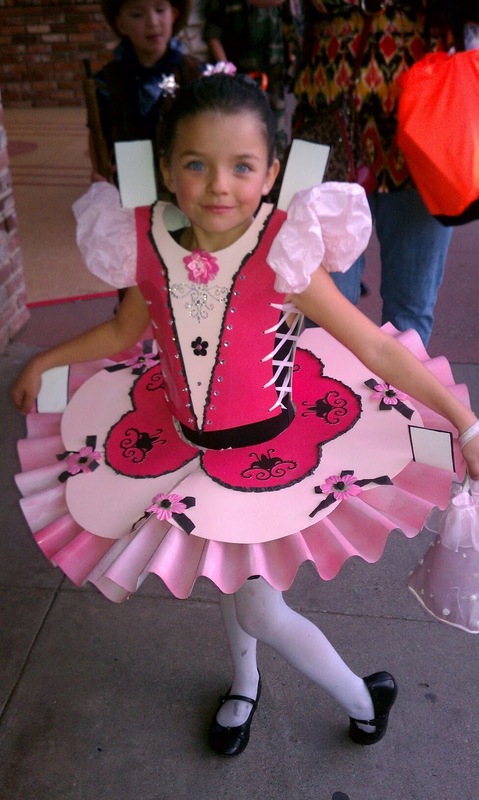 Her party was a smashing hit where I dressed as a dance madam and taught all her friends a quick ballet dance they preformed for their parents when they were picked up. 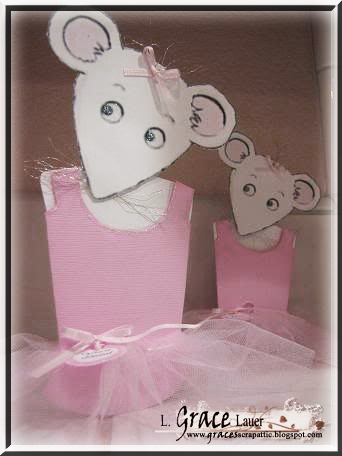 The guest gifts were handmade tutus and hair pieces, we had a child sized Angelina Ballerina to pose for photos with, everything was frilly pink and of course there was the Angelina Ballerina Cake, handmade by me!. 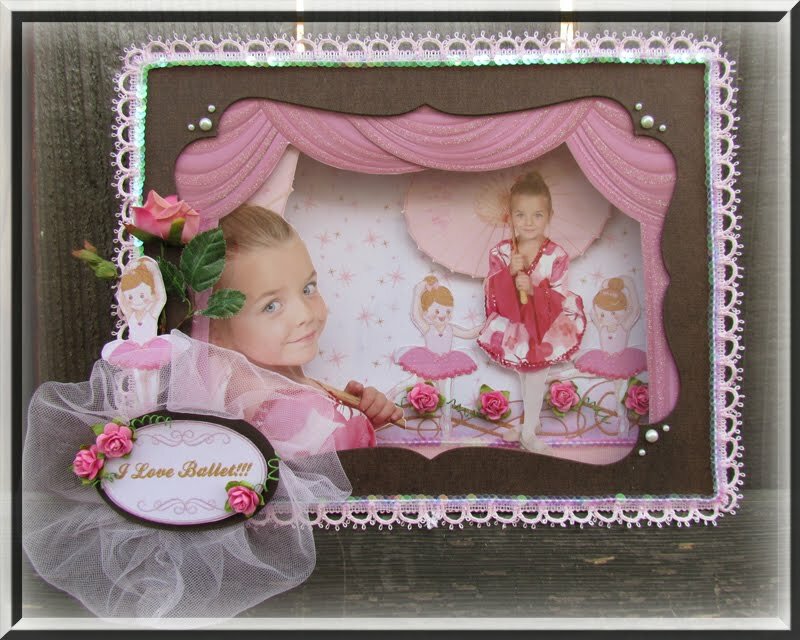 As a piece of her room decor I created this shadow box "I Love Ballet"
A few years of dance and she wanted to be a 3D Paper Doll Ballerina for Halloween. I hope you enjoyed this dance round up of our lives... here is a quick photo of another crafty dance project that I have not blogged about yet. 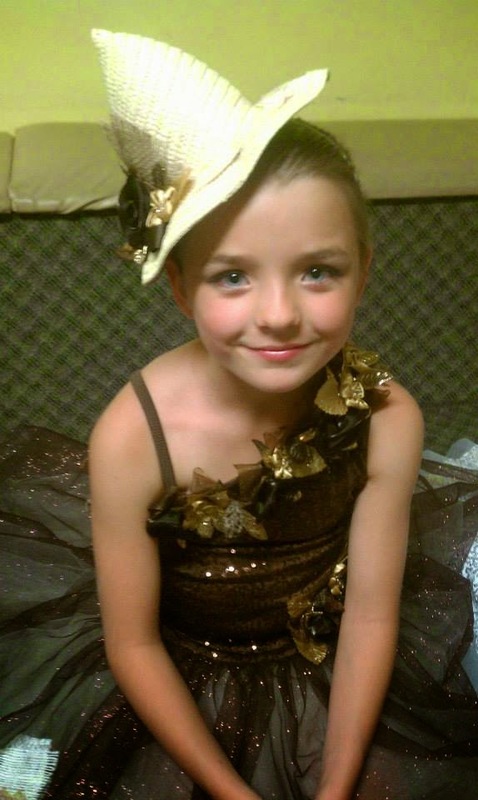 My daughter was cast as the Scarecrow in her ballet class's version of the Wizard of Oz. I had to craft a straw hat that was pretty with girly flowers on it to match her costume. I also added burlap patches to the tutu for her. It was a 99cent Only Store sun hat and the flowers were extras from the pony tail hair piece ordered with the costume.